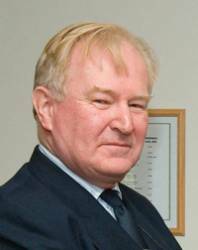 David Broughton served more than 17 years as RIN director and is now secretary general of the International Association of Institutes of Navigation (IAIN). RIN, based in London, is a charitable learned society dedicated to the art and science of navigation. The membership group holds educational events and competitions, sponsors special interest and regional groups, and publishes in all areas of navigation including satellite positioning, navigation and timing. It was granted a royal charter in 2007.